'Andaz' is a Hindi word meaning 'personal style'. The Andaz Hotel aims to ignite creative minds and bring eclectic souls through a fresh and stimulating environment. 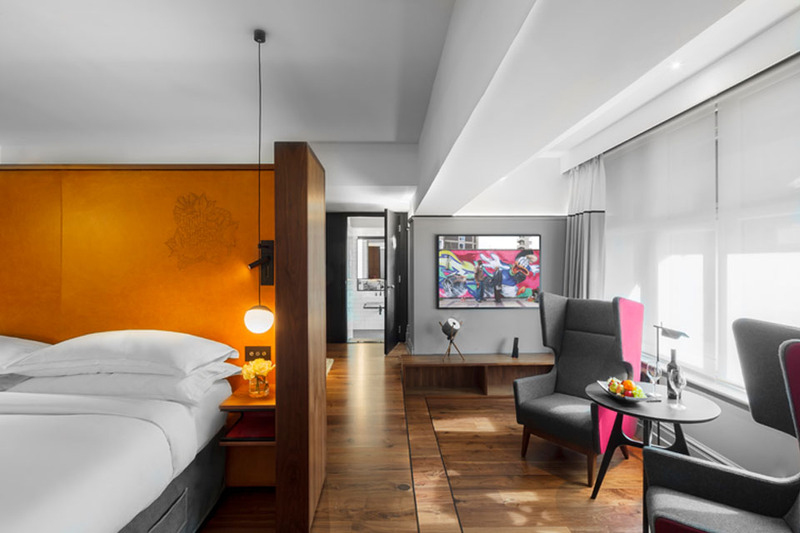 When taking on this project in the heart of vibrant East London, it was important to us to express this Andaz sense of style by creating an environment whereby leisure and business guests can relax in comfortable and inspiring surroundings. Opened originally in 1884, the contemporary interior hotel is housed in a beautiful redbrick Victorian building designed by the architects who also designed the Houses of Parliament. Fileturn delivered 267 boutique style guest rooms and spacious suites with luxurious amenities. We were pleased to deliver the rooms on time and to budget, working particularly closely with the hotel team, to insure minimal disruption to residents and the operation of the hotel.